Use the hashtag #LetExMuslimsSpeak and ask Facebook to protect its most vulnerable communities. 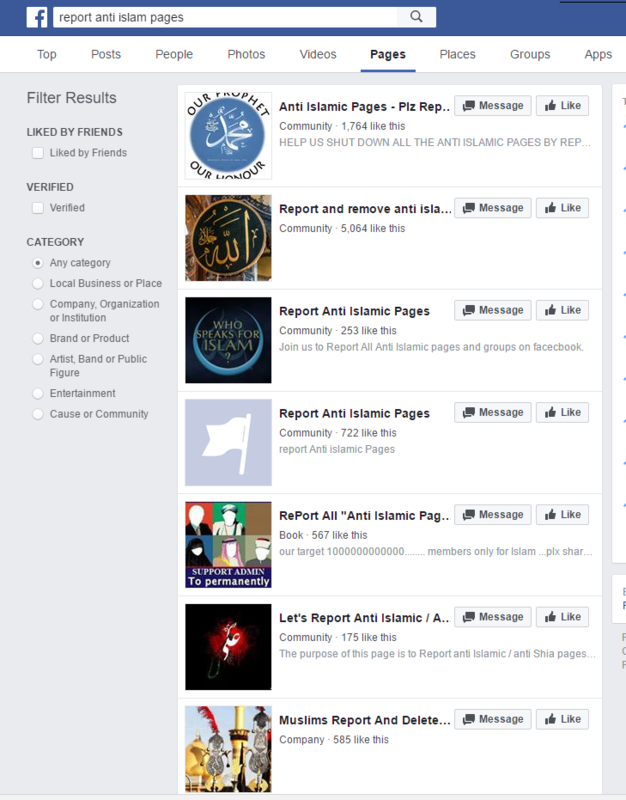 Atheist and Ex-Muslim organizations and groups find themselves yet again the target of censorship campaigns by religious conservatives - this time with the aid of Facebook’s reporting mechanism. Following what appears to be a coordinated reporting and flagging campaign, multiple atheist and secularist groups have been repeatedly restricted or shut down. Each time, allegedly in response to violations of its terms of service and community standards. Each time, no details were given as to which standards were violated. 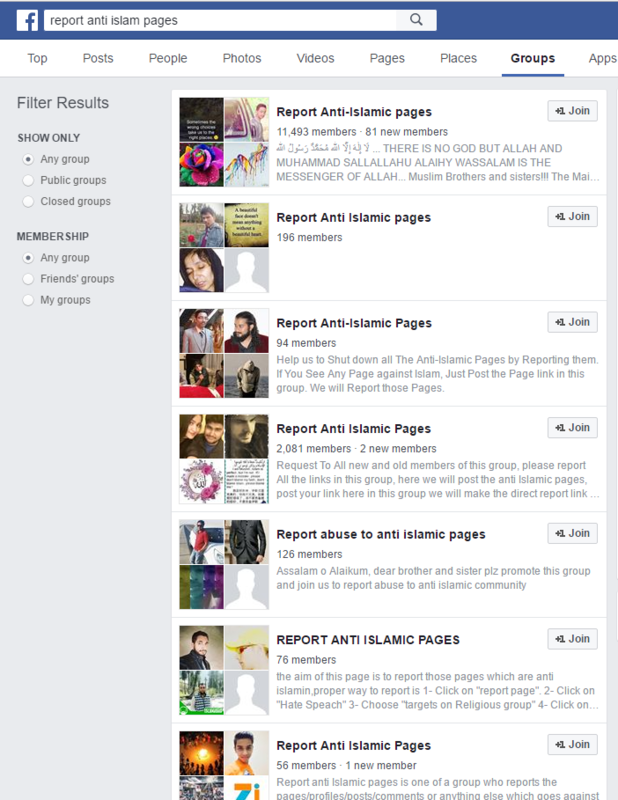 Religious extremists are able to abuse flaws in Facebook’s reporting system to mass report and flag groups which are critical of Islam easily and effectively - and they are organized. 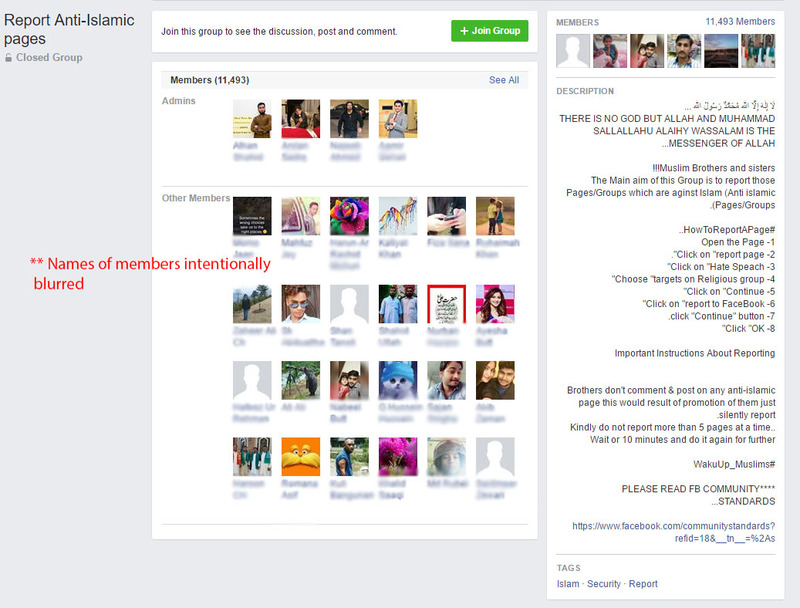 Hundreds (perhaps thousands) of Groups exist on Facebook with the sole aim of shutting down others which they deem disrespectful of their religion. As a result, atheist and secular communities and Pages are regularly shut down or restricted in coordinated reporting which triggers Facebook’s algorithm. These attacks are not new, in fact, they have become routine for atheists and agnostics, especially from the Muslim world. Last year, more than a dozen Facebook groups were targeted en mass, and a petition was created to request that Facebook restore them. However, the attacks have not stopped, and new groups are being targeting right now. 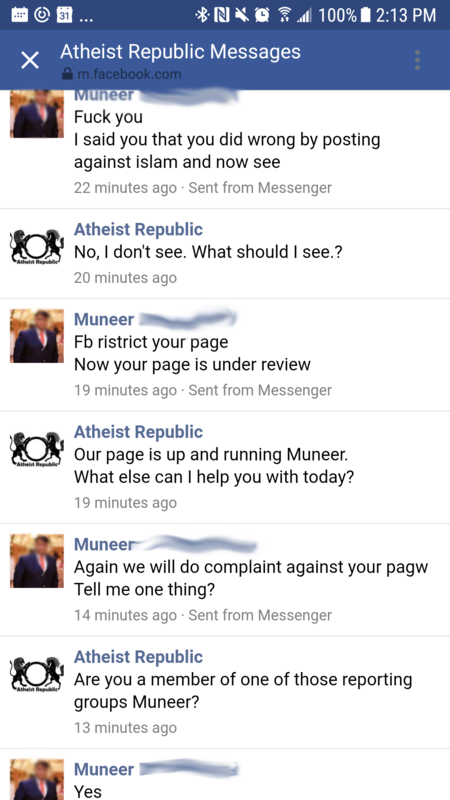 Ex-Muslims of North America and Atheist Republic have been targeted this week - first temporarily losing access to News Feed - both receiving their blocks within minutes of each other. Later, Atheist Republic (a community with over 1.6 million followers which was founded by an ex-Muslim) was shut down altogether, restored, then shut down again - all without any clear explanation as to the nature of the removals. Others have been targeted as well, and continue to be targeted. A permanent solution is necessary. Facebook should create a whitelist for Facebook Groups and Facebook Pages which are determined as vulnerable to malicious attacks. Reports and flags aimed at them should not be handled by automated mechanisms but reviewed and given due consideration by a trained Facebook employee. Facebook should penalize individual accounts and Facebook Groups which are found to have been repeatedly abusing its reporting system. These measures will help ensure that social media continues to be a valuable asset for empowerment of dissenting and minority voices - we ask Facebook to develop and implement these measures as soon as possible. Sign this petition to show your support, and use the hashtag #LetExMuslimsSpeak and ask Facebook to protect its most vulnerable communities. Ex-Muslims of North America needs your help with “Facebook: FACEBOOK: PREVENT RELIGIOUS EXTREMISTS FROM CENSORING ATHEISTS AND SECULARISTS”. Join Ex-Muslims of North America and 12,184 supporters today.